If you follow me on Instagram then you may have spotted a sneak peek of this outfit a couple of days ago! 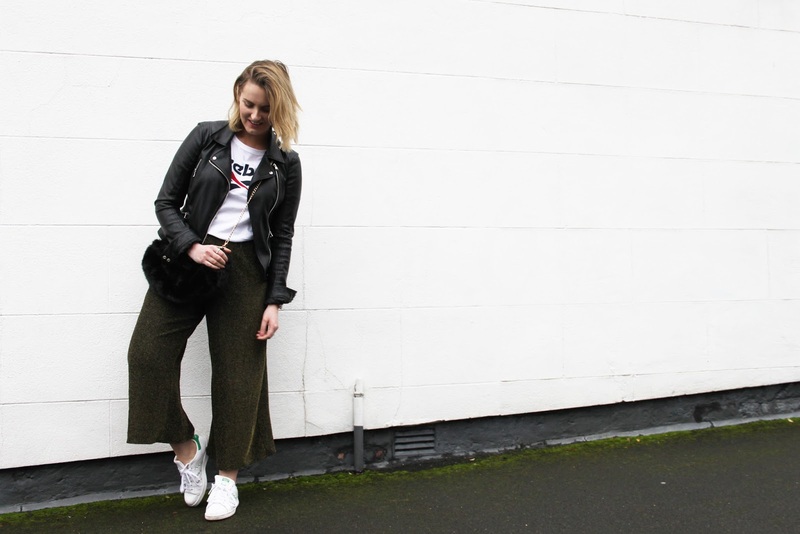 This has to be one of my favourite looks in a long time, partly because of how ridiculously comfy it is, but also because I’ve found a way of wearing one of my favourite items from the festive period that’s typically worn for party season; sparkly culottes! The culottes are from Lily & The Lamplight, a brand set up by one of my super talented BFFs, and are made by hand in the UK. 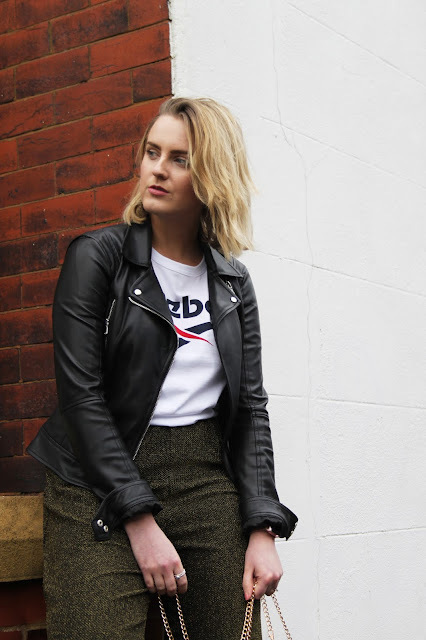 I wore them out at Christmas with a lace up long sleeved body and heels and they looked gorgeous, but I wanted to make sure I still got some wear out of them now that the party season is over. They’re just too nice to be left hanging in the wardrobe! 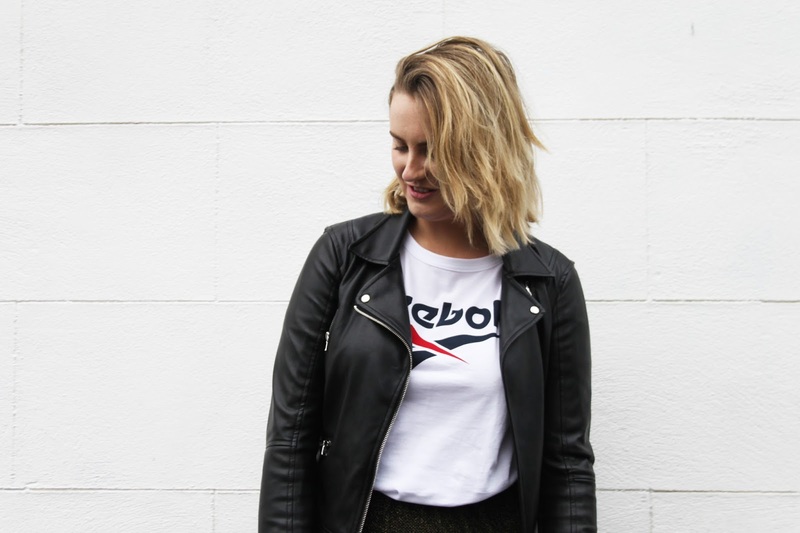 I wore them with my new favourite tee from Reebok that I picked up in the ASOS sale for just £15, and tucked it in loosely for a relaxed feel. To go with the sports luxe feel I went with my most loved Adidas trainers. I LOVE how they look with the culottes, dressing them down perfectly. 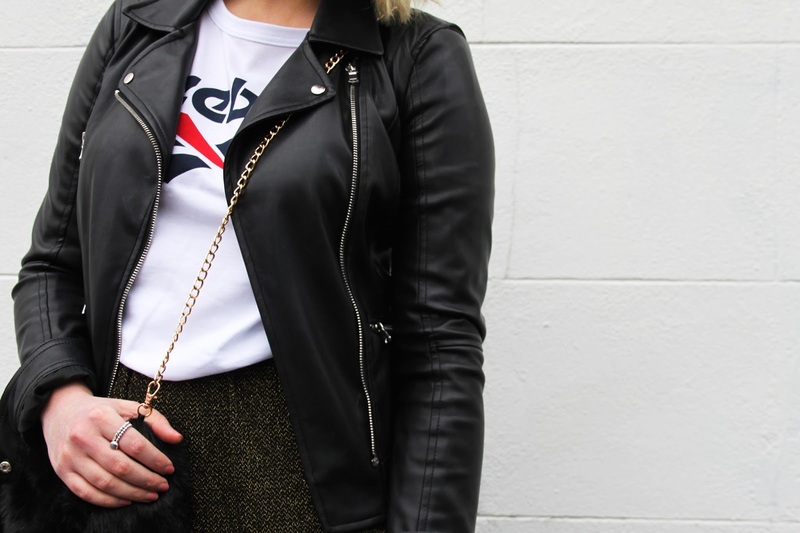 I also threw on my faux leather biker jacket to pull everything together and to contrast against the wide leg fit of the trousers, balancing out proportions. 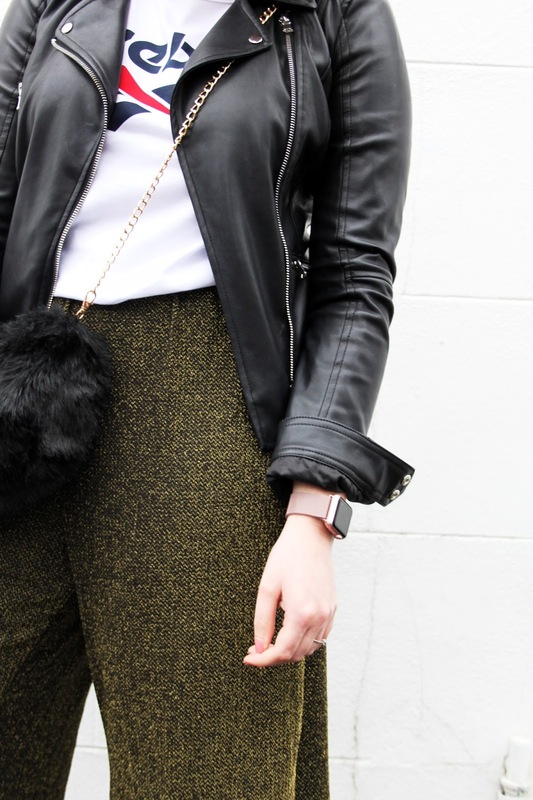 To tie in with the party that is the glittery trousers and add another texture, I carried my faux fur bag that I got from Quiz earlier this year. It’s the perfect size for day or night, and is subtle enough to go with absolutely everything, yet adds just the right amount of interest. I love clashing textures, and the faux fur against the shimmer of the trousers and the leather look jacket is a match made in heaven. If you haven’t checked out Lily & The Lamplight yet, then you definitely should! I’m all for girl power in the fashion industry and I’m so proud of my friend for making it on her own with amazing quality pieces that are made with love and care, and stand out from the crowd! You can check out her full collection here, where there will be some exciting new arrivals dropping in the not too distant future! Have you got any genius ways of styling festive partywear on this side of Christmas? How would you style these culottes?